I know almost nothing about birds, nor do I spend anytime watching them. Even though I spend a lot of time in very remote areas backpacking or exploring slot canyons, I couldn’t tell you the name or type of most birds to save my life. Luckily I have a good friend who does this for me and last weekend I had the pleasure of catching up on a long overdue conversation about whats new with Colorado birds. 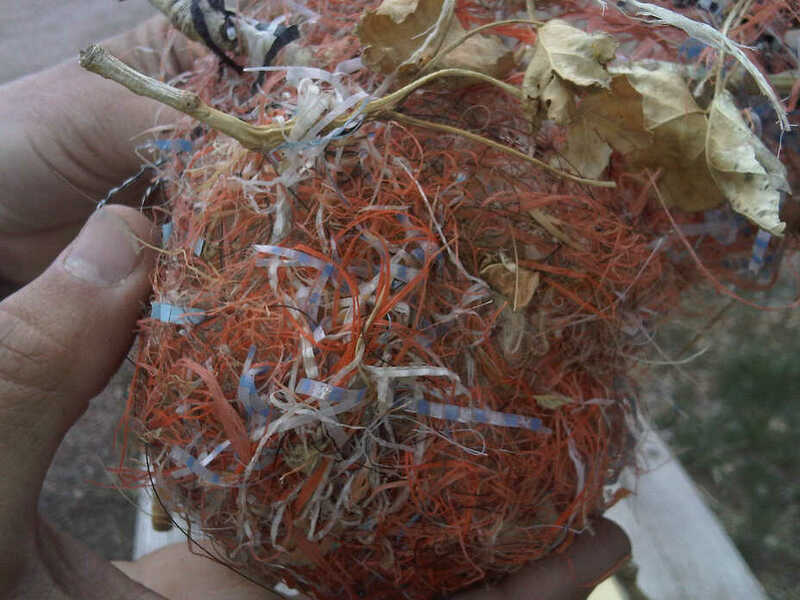 I was amazed to find out that over the past two years, a bird called Bullock’s Oriole has learned that man made synthetic material is better for building nests. Mark Dudrow has observed this bird on his property for many decades and has seen the switch away from natural nesting material. He assures me that the birds have a choice and are choosing to collect nesting material from old tarps and other man made material on the property. When it comes to nesting, the Bullock’s Oriole builds a new nest in a different location every year. 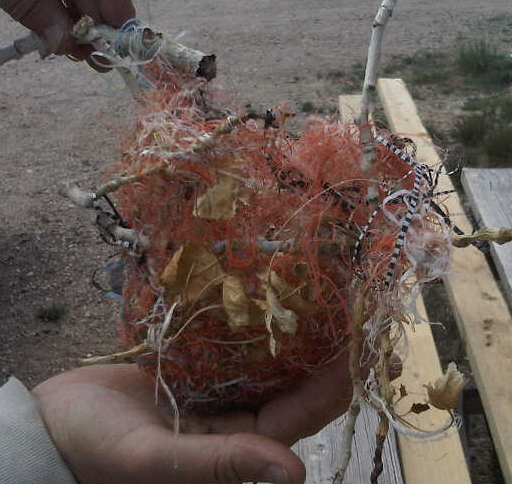 Because these new synthetic nest don’t degrade as quickly as “natural” ones do, Mark’s pine trees are now littered with abandon synthetic nests. As we were having this discussion about the recent change in nesting habits I couldn’t stop relating it to Darwin’s observation of the Finch population on the Galapagos Islands. When I dove the Islands back in 2009 I remember learning that Finches on different Islands developed beaks that were best suited for the food supply on the Island. I’m not suggesting that we are witnessing evolution in progress, but rather pointing out that this species in southern Colorado has changed its preferred building material and adapted to its new environment (which now includes nylon tarps and abandon vehicles). 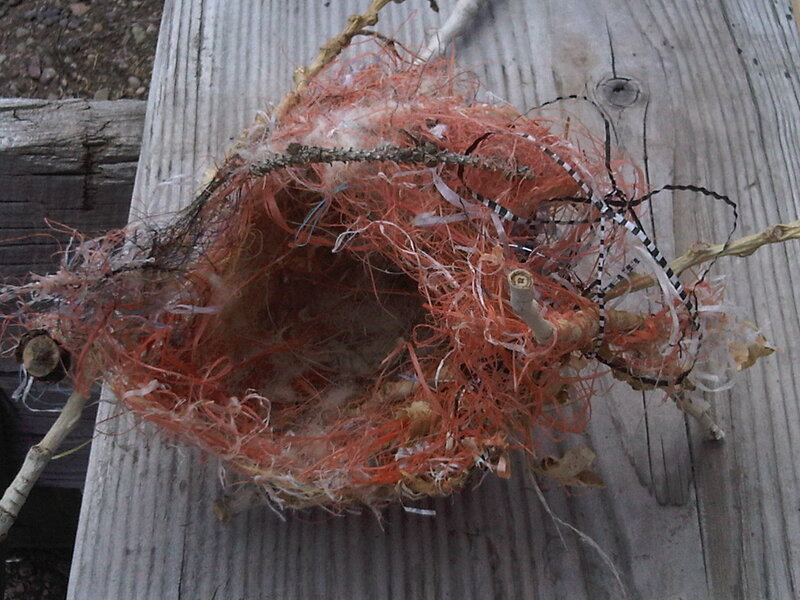 Plastic bird nests are interesting, but what I really look forward to learning is how long it will take the Bullock’s Oriole to realize that the nest can be used longer and change their ingrained annual nest building habit. This entry was posted in Nature on May 24, 2011 by cpiekarski.